I recruit for a select few orthopedic startups with great cultures. I work for startups that I believe in. Here are a few ACTIVE POSITIONS open right now. Manager Product Development and Project Engineer one of the hottest spine companies on the west coast. Stellar management team. Sr Design Engineer in extremities startup with really cool cutting edge technology. Must have design experience in extremities. Senior Project Engineer and Manufacturing Engineer/Quality Engineer in new extremities /trauma startup. Make a difference! VP/Director of Product Development for a total joint startup with robotics, 3D printing and software. Run all of Engineering and own part of the company. Software Engineer and Electrical Engineer in a growing med device diagnostics startup with really cool technology. Quality Assurance / Regulatory Assurance position in a total joint startup. You will report to the CEO and be responsible for all things Quality. Biomedical Quality Engineer position in a Quality/Regulatory SaaS startup that is growing like crazy. Must know Quality systems well and be a “people person”. Marketing position in an early stage profitable extremities startup. Must be hungry and driven. Run all of Marketing and own part of the company. Lead Manufacturing Engineer position in an innovative orthopedic shop in FL with Swiss turning and CNC equipment. Reports to GM. This is the chance for a young person to quickly advance into Manager position. Don’t see the right position for you? Tell me more about yourself! 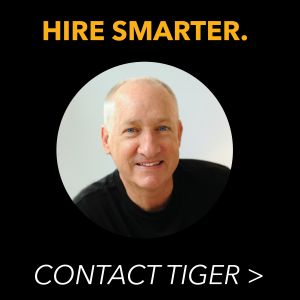 Email me tiger@tigerbuford.com your LinkedIn profile link, why you are looking and answers to these 4 questions and I will contact you immediately when I have a fit for you. Key Strengths (what makes you special)?